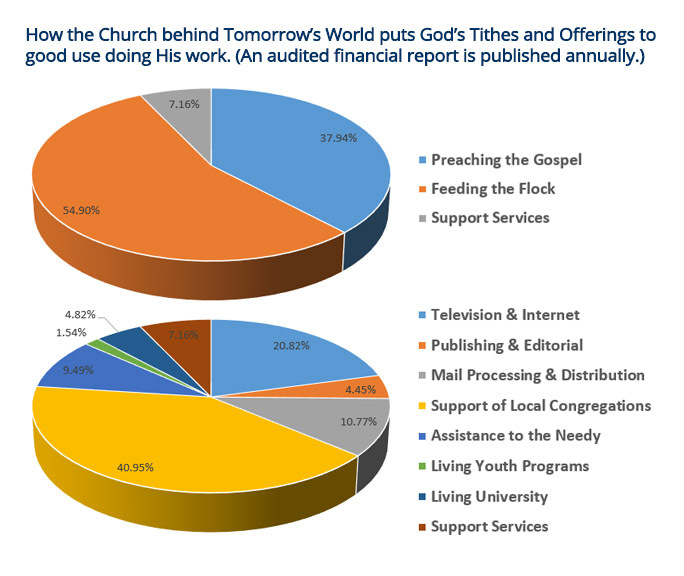 The Living Church of God practices the faith of the First Century Church. Approximately 2,000 years ago, Jesus Christ founded His Church, and the apostles spread His gospel of the Kingdom of God. In subsequent centuries, religious authorities rejected many of the first century doctrines, and in 364 AD, the Council of Laodicea declared much of the original faith anathema. This original Christianity has been restored at the Living Church of God. In 1952 Dr. Roderick C. Meredith was ordained as a minister of Jesus Christ. Dr. Meredith served as an evangelist, theology professor, and Church administrator in the Worldwide Church of God. That organization abandoned many of its Bible-based doctrines soon after the death of its founder, Mr. Herbert W. Armstrong. In December of 1992, Dr. Meredith stepped out in faith to revive the Work of the Church, and in 2016, at the age of 86, and in consultation with the Church’s Council of Elders, Dr. Meredith appointed Evangelist Gerald Weston as President of the Living Church of God, and as his successor. Upon Dr. Meredith’s death in May 2017, Mr. Weston became the Presiding Evangelist, and that work continues. The Church leadership includes evangelists Mr. Gerald E. Weston, Mr. Richard F. Ames, Dr. Douglas S. Winnail and Mr. Stuart I. Wachowicz. In addition, the Church has a council of elders which meets, regional directors and regional pastors, and many other ministers in the U.S. and around the world. Church headquarters are in Charlotte, NC. We preach the gospel of the coming Kingdom of God and Jesus Christ as Lord, Savior and King of kings, although we do not set dates for His return. We believe in the remission of sins through Christ's sacrifice. We also teach the love of God and the love of mankind as Christ and the apostles taught, and we shepherd the flock that God calls. We believe in obedience to all ten of The Ten Commandments, including the biblical Sabbath and annual Holy Days. We reject mankind's racism and violence. We believe that the world's problems are primarily spiritual, and therefore we do not engage in political activity. We do not proselytize, and we do not solicit money from the public, although we gratefully accept donations. For a statement of beliefs, go to www.lcg.org/statement-of-beliefs.shtml. The Living Church of God has an ethnically diverse ministry and membership on six continents. Each week, on the biblical Sabbath, congregations meet throughout North and South America, the United Kingdom, Europe, Australia, New Zealand, Asia and Africa. Independently audited financial statements are published to the membership and public annually, and links to recent financials can be found at the bottom of the ABOUT US page of this website. Living Education is an online Bible educational service. Students from around the world take courses online, learning from the Bible and other sources. For more information, see www.lcgeducation.org. The Living Church of God produces a television program, magazines, booklets, and a Bible Study Course. Publications are available in Spanish, French, Afrikaans, and German, with a growing number in Czech, Dutch, Chinese and Russian. Since 1999, over six million booklets, Bible lessons, and recordings have been sent free to those who request them, in addition to 30 million magazines. People who are interested in the Church may request a ministerial contact. The Tomorrow's World television program features presentations on the purpose of human life as well as on Bible prophecy. The program presents current events in the context of the Biblical narrative. The main presenters are Mr. Gerald E. Weston, Mr. Richard F. Ames, Mr. Wallace Smith and Mr. Roderick C. McNair. Tomorrow's World is a bi-monthly magazine sent free to those who request it. The magazine has a subscription currently exceeding 350,000. There is no subscription price and no follow up request for money. The Church produces radio programs in Spanish, French and Chinese and has a growing internet presence including Facebook, Twitter, and YouTube. The Church also produces a Bible Study Course and booklets on a variety of subjects including Christian living, prophecy and doctrinal subjects. All of the Church's literature is available in print without cost, or can be accessed online at our websites. Members receive The Living Church News bimonthly.